One of the reasons I love documenting my online business ventures is that I have the ability to go back in time and re-live some of my experiences running a business. And this came in handy the other day when a reader asked me the following question. Steve, it seems like you always know what you are doing. Do you ever get impatient with the progress of your business? Do you ever compare yourself to other entrepreneurs and get frustrated with yourself? Now my first reaction was to respond with something trite like “Don’t give up. It’s completely normal to feel this way. Don’t compare yourself to others blah blah blah…”. But instead, I dug deep into the archives of my blog to find this gem of a post. Whenever you read about an entrepreneur who has a made a large sum of money in a short period of time, there is always a misconception that their path to success was quick and smooth. 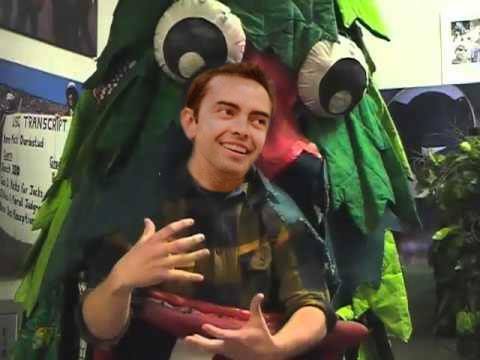 Take my Stanford tree loving buddy Pat Flynn for example. If you read his blog and his tips, it seems as though he can make tens of thousands of dollars per day by barely lifting a finger. What you don’t hear about enough though is the pain and hardship he went through to get to this point. I’m guilty of this as well. The fact is that once your online business is up and running, life does get easier and we tend to forget about the early stage pain. Looking back at our online wedding linens business, there were several times when I was a neurotic mess and I did a lot of stupid things. (Notice the use of the word “I”. My wife was usually more level headed and patient). Some of the most common questions I get asked are, “Was business slow early on?”, “Was there any point in which you didn’t think things would work?”, “Was there any point that you got frustrated and wanted to quit?”. If you were planning on asking me any of these questions, I’ll just save you the time right now and say “YES! !” as loudly as I can type. In fact, there were many stupid things I did early on which I will share below. After the many weekends and late nights spent launching our business, I wanted to see results right away. 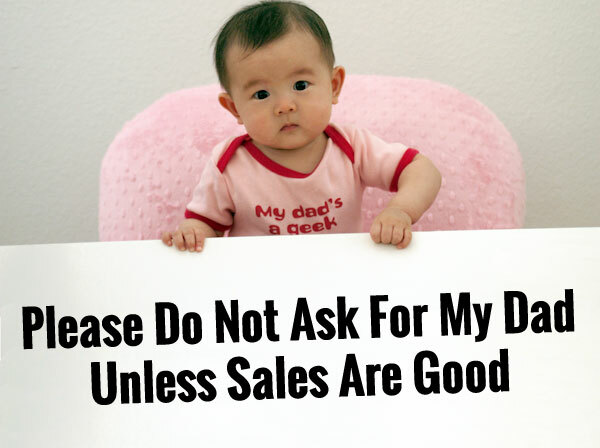 In fact, I wanted sales so badly that I became obsessed with every customer that visited our site. One of the coolest and biggest time sucking features of our shopping cart is that you can follow a customer as they browse your store. What product are they looking at? Are they in checkout? What do they have in their shopping cart? You have all of this information at the click of your finger. Early on when things were slow, I used to stalk our customers and my mood would be dictated by their actions. Me: Come on baby! That’s right…Put something in your shopping cart. You want those linen napkins. I know you do. They’ll look great on your dining room table. Wife: Will you stop stalking our customers already? It’s just going to get you all worked up. Me: Nonsense! Oh!!! They put something in their cart!!! I think they might buy something! C’mon baby. Buy it!! Buy it!! Me: Sweet! They are entering in their information!!!! Just a little further… C’mon, click on ‘submit’. you can do it. It’s the big purple button on the lower right. Wait….what’s going on? They’ve been stuck on the payment page now for over 5 minutes…What’s wrong?!? Mayday!! Mayday!! Why would they leave without paying for their merchandise. Wife: I think you need to get a life…. Me: You are my life dear….and we just lost another customer. Whenever we did successfully sell something, I would be on Cloud 9 for the entire day. But when customers abandoned their cart, I’d be left with this empty feeling of despair. This roller coaster of emotions wasn’t healthy for my psyche. It’s one thing to passively observe the behavior of your customers online, but I desperately wanted and needed feedback in order to improve our store. Why did customers not complete checkout? Why did customers leave the store so quickly? I wanted to know. Unfortunately, when you just launch your business and people aren’t buying, feedback can be hard to obtain. Sometimes after a customer had abandoned their shopping cart, I would call them directly and ask why. As you can imagine, some customers were shocked by the call and some of these conversations were downright uncomfortable. Me: Our records indicate that you attempted checkout and your order didn’t go through properly. Do you require any assistance to complete your order? Customer: Huh? Who is this? Me: I’m sorry. You were trying to purchase some wedding handkerchiefs from our online store about 15 minutes ago. Customer: That’s strange, I don’t remember buying anything. I was just looking around. How did you did get my number? Me: (You entered it when you left your unpurchased items littered all over our online store! ***This is I wanted to say***) Oh okay. Was there a particular reason that you did not complete your purchase? Customer: **pause**. No reason…I was just looking around. What is it you want again? Please don’t call again. In my defense, even though I drove away some customers early on, I actually did get some quality feedback. For example, one time a customer told me that there was a bug with our credit card processor and his debit card wouldn’t work. Another customer I called told me that our pictures were too small to make out the product details. I also discovered that many customers went through checkout just to find out the shipping costs because it wasn’t obvious what the final total was. 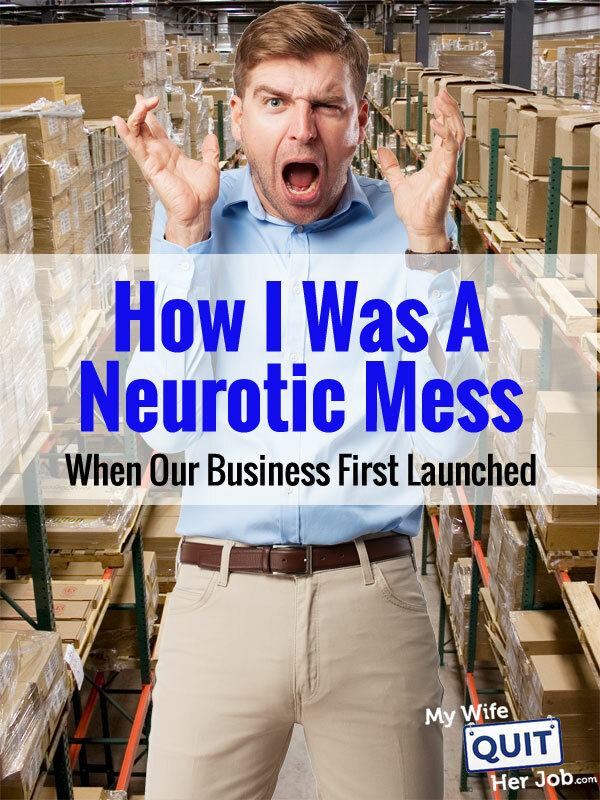 Editor’s Note: Even though my wife still makes fun of me for doing this, I’ve talked to many entrepreneurs over the years and calling abandoned cart customers is actually a common practice! In fact, an entrepreneur I just hung out with at Ecommerce Fuel Live told me that he has a full on team dedicated towards calling back abandoned cart customers! Looking back, this was one of the best things I ever did for our business early on. Heck, if you are sending a customer an abandoned cart email, you may as well call them too! The conversion rate is super high. Whenever I did receive any sort of feedback, I acted on it fast. And as a result, our online store was in a constant state of flux. I never gave any of my changes anytime to digest. Instead, it was like “Customer X couldn’t find the Checkout button very easily. Perhaps I should make it twice the size and move it to the left”. “Customer Y thought she needed an account to buy something. Perhaps I should re-implement the checkout process”. What ended up happening was that I was constantly making tweaks without observing the impacts of each change. It was counter productive and stressful as well because I worked at such a quick pace that I often made mistakes. Probably the most egregious mistake I made was when a syntax error caused a picture to not load properly on one of our checkout pages. Customers trying to make a purchase were greeted with a big red X where one of the photos should have been. The next time you read about someone making it big or making lots of money in a short period of time, realize that they had to work hard to get where they are today. We all have our neurotic moments that we’d rather not share. Don’t even get me started on email marketing. There was a time when I had a very small email list and I used to stalk everyone’s open/click rates. Stella432@gmail.com, why aren’t you opening my mail? Don’t you know I’m just here to help? C’mon Stella…what’s going on woman? Would you like me to email you again with a different subject line? Stella, stay with me baby!!! Stella!!!!! We are all not as confident as we appear to be. The scary thing is that I’ve barely scratched the surface with my mistakes. The fact is that there aren’t any true shortcuts. Things will come along gradually as long as you constantly try to improve. If you find yourself getting impatient with your progress and you want to know how long it SHOULD take to be successful with your business, then read this post next. I loved reading this! It’s nice to know I’m not the only neurotic out there. Thanks so much for sharing your reality with us. Now I’m going to go check my stats again. Thanks! I think that a little bit of neurosis is necessary to succeed, but it’s a fine line to balance. Desperate times call for desperate measures. There are certain things that web analytics just can’t tell you and we just weren’t getting any feedback as to why people were abandoning their shopping carts. Despite the example in the article, most people were okay with answering questions though they might have been a little freaked out about it. I don’t think that I’ve ever met someone who has admitted to calling a customer who didn’t complete as sales order. I imagine being able to admit it is the first step on the 12 step recovery program. But really, it is fascinating to find out what you can learn if you only ask. I really appreciate this article. How you acted in the beginning is the stage I’m at right now. The results aren’t coming as fast as I would like. My store has launched and been up for about two months now. I keep second guessing myself and making adjustments too fast. Trying to improve the customer experience. I’m gaining traffic through Adwords but not the sells..
What would be an ideal amount of timing to let things sit before making adjustments? Unfortunately, there’s no set time to let changes soak in. Now that I have a 3 years of data underneath my belt though, I usually give things at least a month to see the results but it really depends on the nature of the change. For SEO changes, I usually wait much longer, maybe 6 months or so. I felt the same way you did when I started my first internet site. I even went so far as installing live analytic software to watch people on the site and follow what they were doing. Hehe..nice. I did the same thing. In fact, I took a step further and wrote a few scripts that would email me as soon as someone abandoned their cart. My husband and I were laughing out loud reading this…it’s like a verbatim transcript of our conversations. I never had the nerve to call a customer who abandoned a cart but I always send an email. I’ve made some changes based on these email replies but many times I don’t get a reply. Sometimes folks are just window shopping. Thanks for sharing! Hahaha – I did the same mistake of changing my website too fast. You just made me realize that I need to stop, observe and see if the new changes actually worked! Thanks for yet another great post. I am reading through everything and absorbing the biz tips. Haha, I recently started selling on Amazon with FBA and im definitely obsessed with the sales. Some days if I dont make a good amount of sales, I find myself crawling to a fetal position in the corner of my home crying myself to sleep! They say confidence is key – but they don’t tell you how to get the point where you actually have it. Thanks for reminding us that hustling and doing good business requires dedication and follow through. Every customer purchase or rejection is a learning opportunity. Really good post. Thanks for all the information that you are giving. Im looking at starting an ecommerce website and I know everyones talking about choosing a niche.As I have no experience in dealing with suppliers I thought starting with a dropshipping program like banggood.com or similiar would be a good idea…until I got into the whole routine.What are your thoughts on that approach.